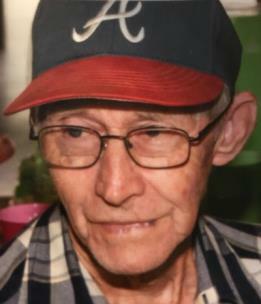 David Lamar Lowe, 78, passed away on Saturday, February 9, 2019. He was a lifelong resident of Chattanooga and an overseer at Freedom Church of God. David was an avid golfer and a member of Eagle Bluff Golf Club. He was preceded in death by his parents, Luther and Essie Lowe; brothers, G.A. Lowe, Thomas Lowe and Archie Lowe. David is survived by his wife of 56 years, Alice; daughters, Karen (Eddie) Akins, Lisa (Wayne) Akins, and Angela (Jeffrey) Gunter; brothers, Carlton (Sue) Lowe and Clarence (Shirley) Lowe; sisters, Leveta Harden and Beverly Blaylock; 10 grandchildren and 18 great-grandchildren. The family will receive friends on Tuesday, Feb. 12, from 4-8 p.m. in the Highway 58 Chapel of Turner Funeral Home at Highway 58. There will also be a visitation from noon – 2 p.m. on Wednesday, Feb. 13, with the funeral following at 2 p.m. in the funeral home chapel. Interment will follow in Williamson Cemetery.